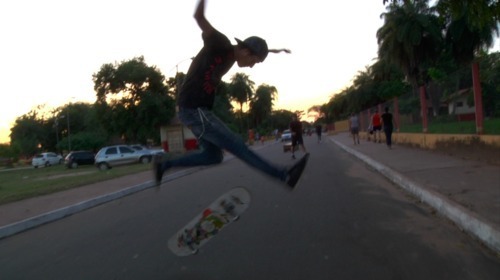 After watching Converse’ skateboarding video in the Amazon, I knew I could skate in Santarém. I was curious to find out if there were any local skaters in town, and if they had participated in the Amazon video. I only needed to ask that question to a couple of people to find the answer: talk to Alarico. 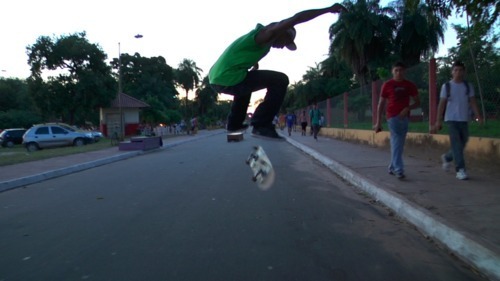 I spend my last day in the Amazon with Alarico and his friends, who kindly take me skateboarding all over town. It is super hot! Yes, this is 100% sweat. And skate again until the sun sets. Thank you to all my cool friends in Santarém! I already miss this place.